"I wish I could take it back. I wish we'd never gone." "I don't. If we hadn't gone I wouldn't have seen. You have to see it to know. Now I know. We're going to destroy the Night King and his army". 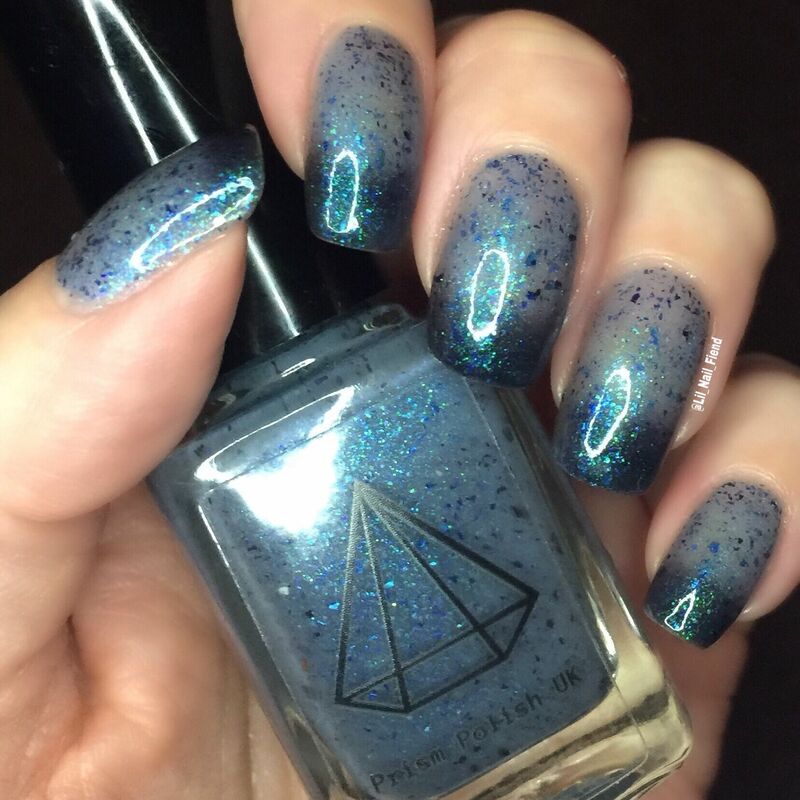 Inspired by the demise of Viserion at the hands of the Night King, Ice dragon is a charcoal to light icy blue thermal reactive polish filled with blue/purple/green shifting shimmer and blue/purple shifting flakies. Luckily, this polish changes back quickly and won't be so heartbreaking! Cool colour opaque in 2-3 coats. 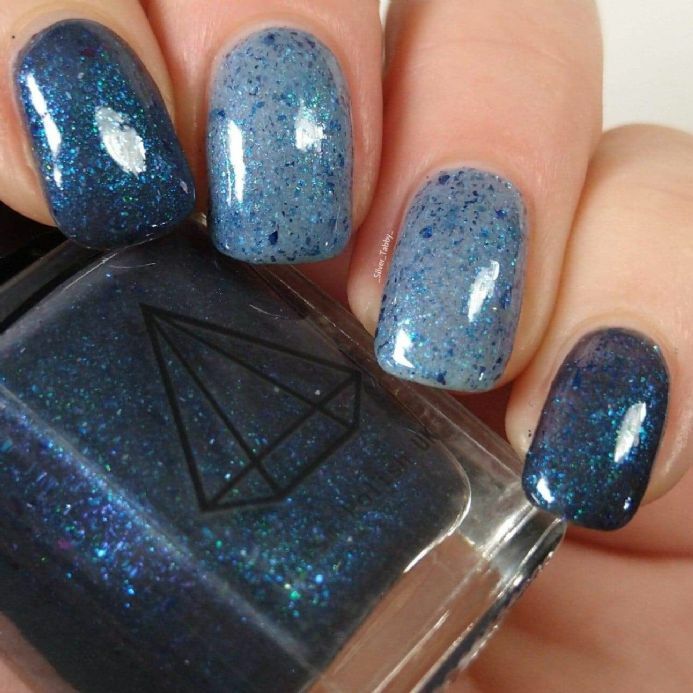 This polish will take several coats for the lighter blue warm colour to become opaque on the nails. 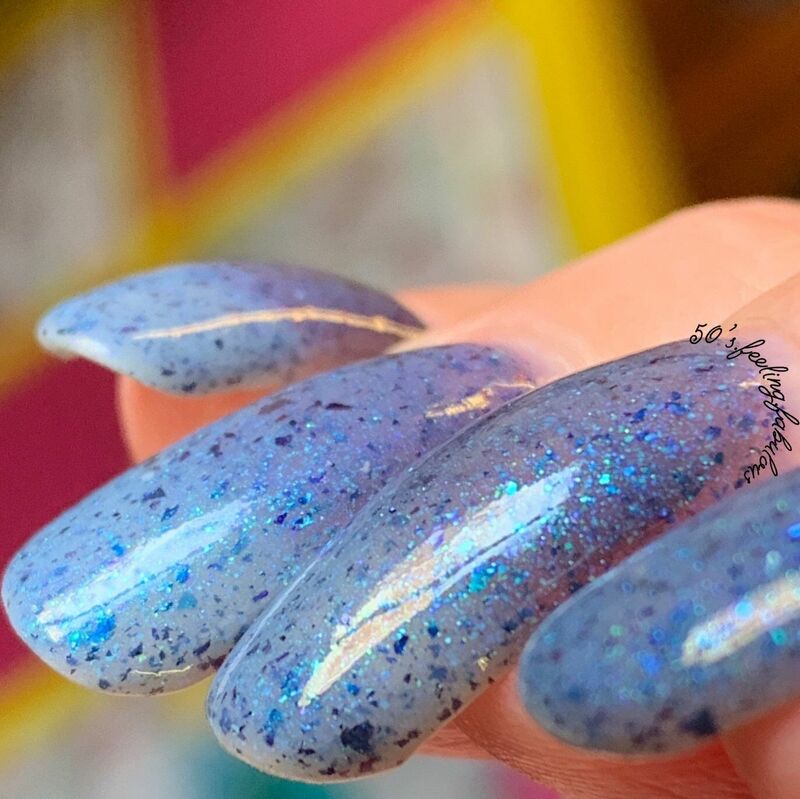 Please note that thermal polishes have an average transitioning life of 9 - 12 months and after this period may require exposure to more extreme temperatures to change colour and then may stop transitioning at all. This is perfectly normal and your polish will still be perfectly safe to use. 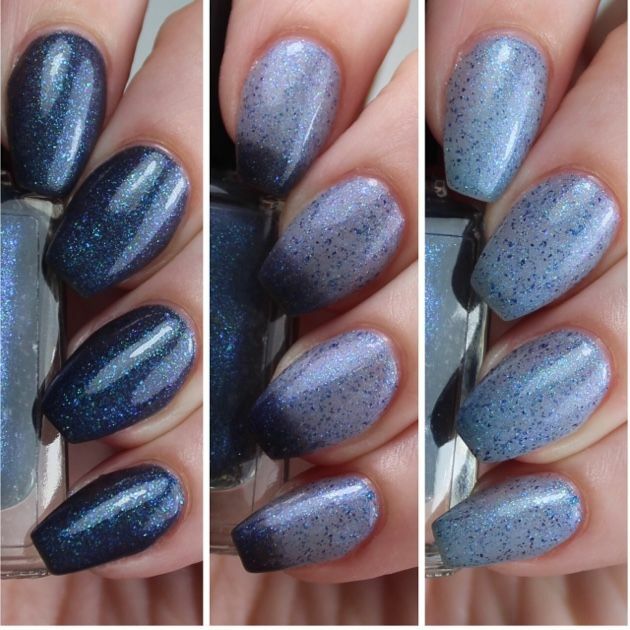 But we do recommend that you keep your thermal polish in a cool, dark place to help preserve it's shelf life!